The latest You Capture assignment was the letter “L”. 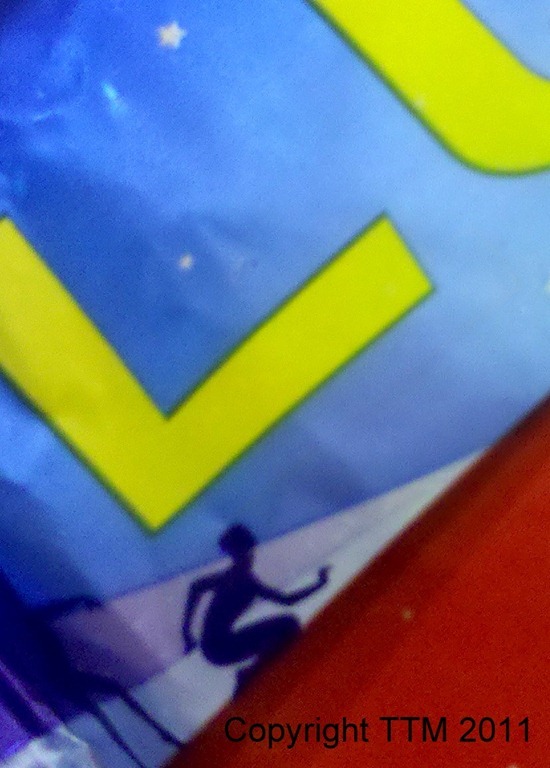 I wasn’t sure if I wanted to take pictures of things that start with “L” or actually of the letter “L” itself. So I did both! Once I got in to it, I had a lot of fun. Believe it or not, there aren’t as many “L” words as you might think just lying around so I really had to keep my eyes open. One of my co-workers had his last day at work and someone brought in a “good luck” banner. I liked the colors in it and this close crop made it really interesting. My Luna bar (“Nutz over Chocolate” of course)! Again, I cropped it in tight to put the emphasis on the “L” and on the woman kneeling down. Ended up being a cool image though I wish I’d had better lighting. 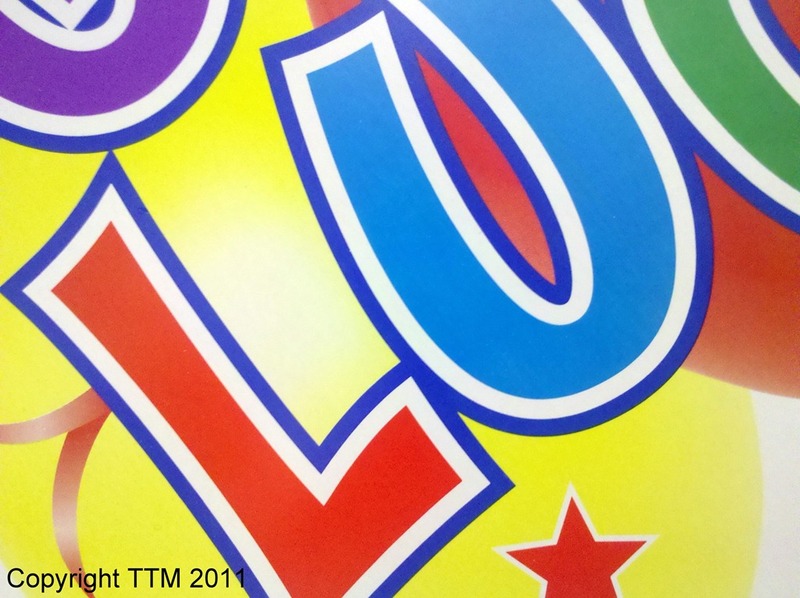 I know, I know…that doesn’t start with the letter “L”. 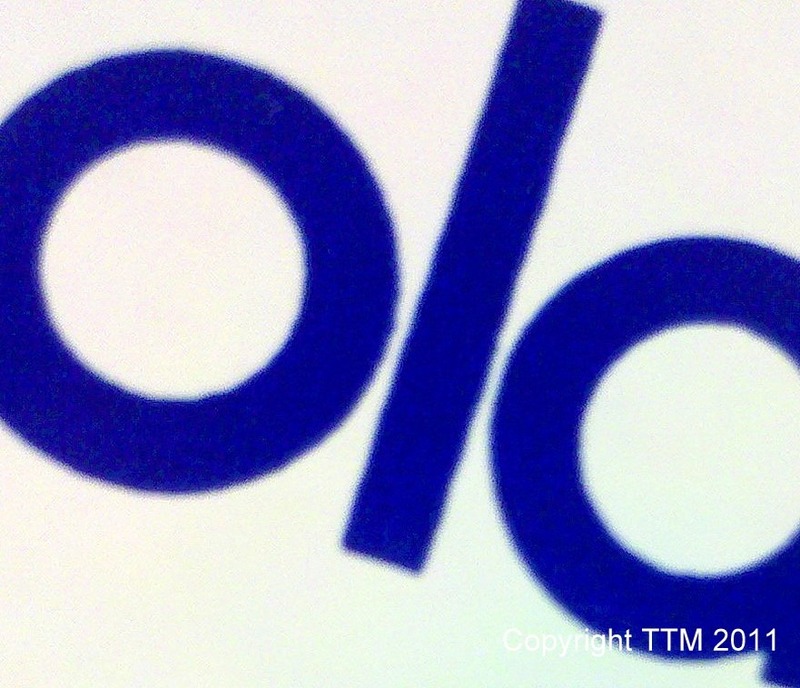 But it does have an ‘l’ in it and this particular font, and the way the “l” sits between the “p” and the “a”, was really interesting to me. 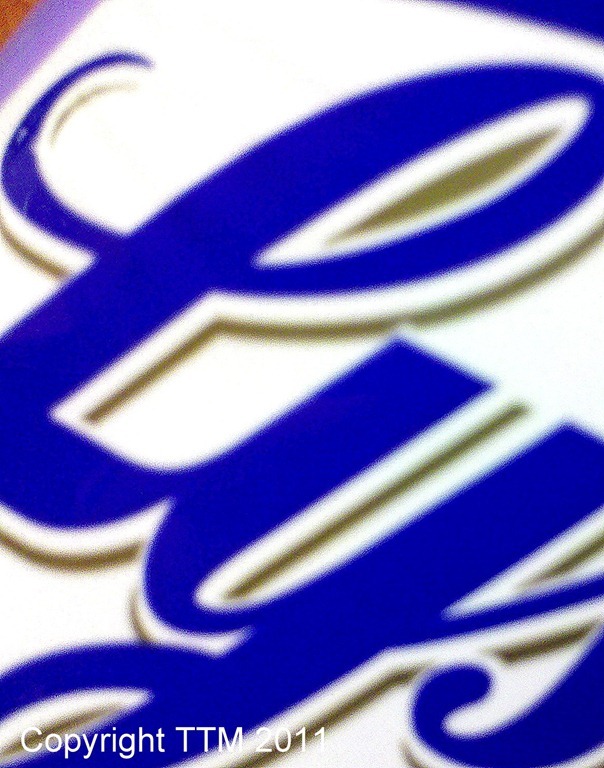 Cropped in close like this it looks like eyes. Reminds me of an owl. Now for the photos of “L” words in action. Isabella sitting on Grandpa-pa’s (CJ’s dad) lap reading a book. 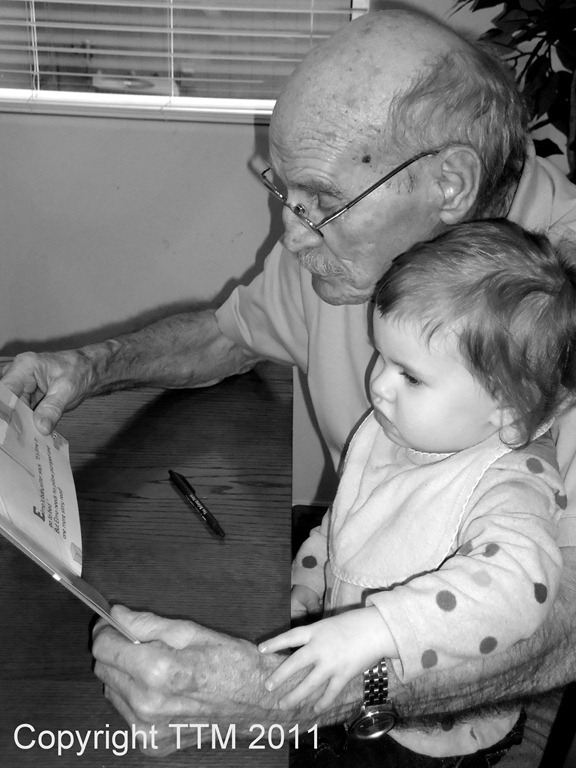 She loves her books and she loves her Grandpa-pa! Would you believe me if I told you this wasn’t staged? Well it wasn’t. 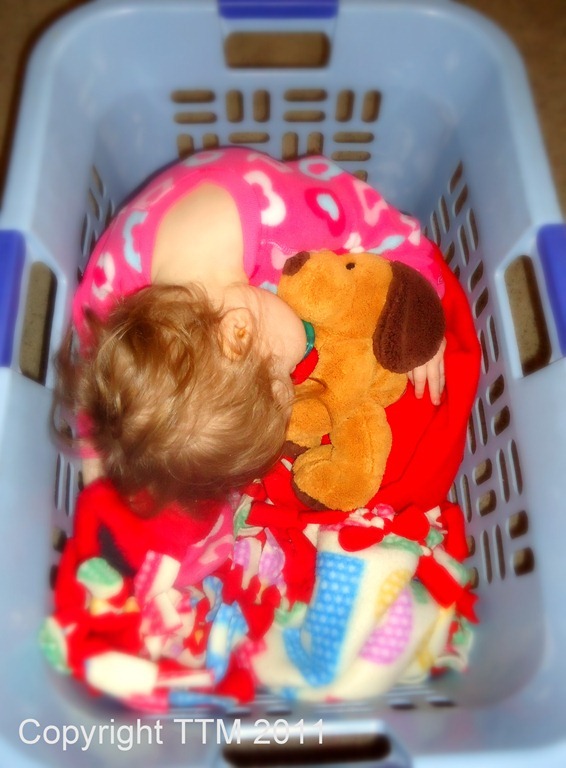 She threw a bunch of toys in the laundry basket, then climbed in herself and curled up with her puppy. I wish all laundry was this fun to pick up! 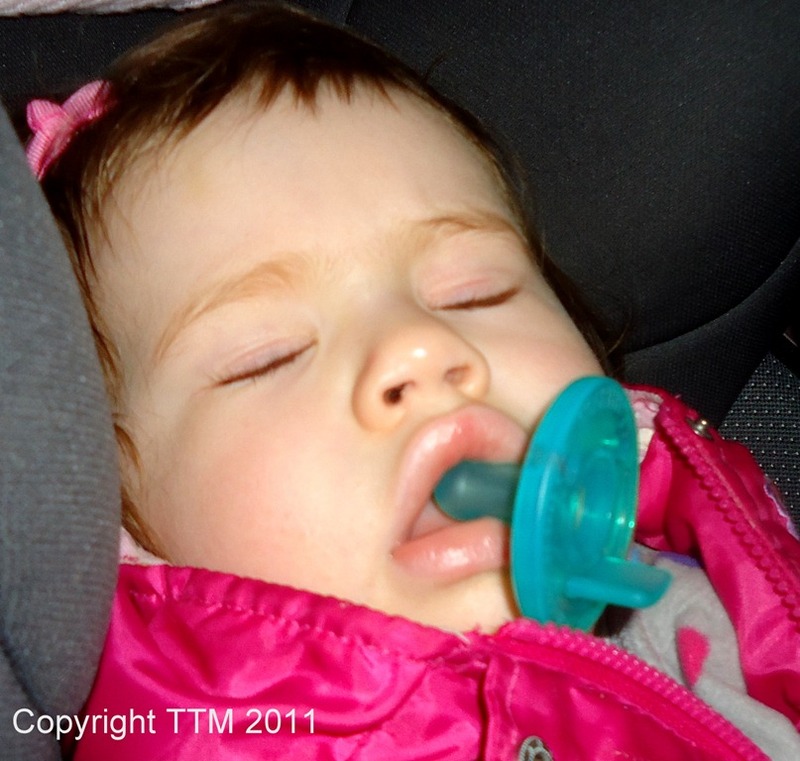 On our way home from her cousin’s birthday party, Isabella fell asleep in the car. When I opened the door, I found her just like this, with her woobie lolling out of her mouth, ready to fall out. LOL! 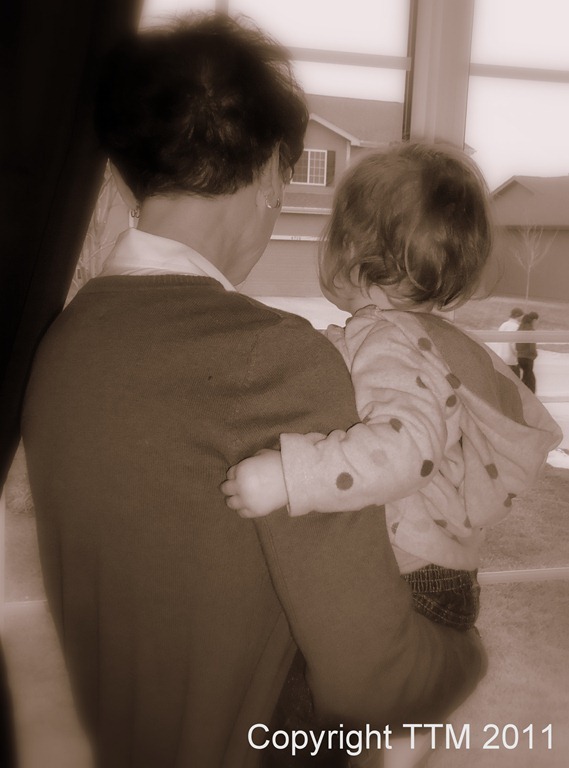 Looking out the window with Grandma (my mom), watching some neighbors walk by. She was talking away, naming all the things that she saw. So cute! There you have it! The abstractionist in me likes the word images because they’re different and edgy. But the sentimentalist in me likes the people shots because, well, they’re of Munchkin, my favorite subject in the whole world! You know, I was going to try and type this whole post using mostly “L” words but gave up after I couldn’t even get through one sentence. Like I said, “L” words aren’t as common as one might think! I love the cropped photos of the words. Especially the first one of Luck. I also adore the photos with the grandparents. So sweet! I love the bright dazzling colors of that first shot. I am also a big Luna bar fan since I was introduced to them on a hiking holiday last year, my favorites being blueberry and lemon and I also love the Clif bars. Great shots. Love that laundry basket. Haha.